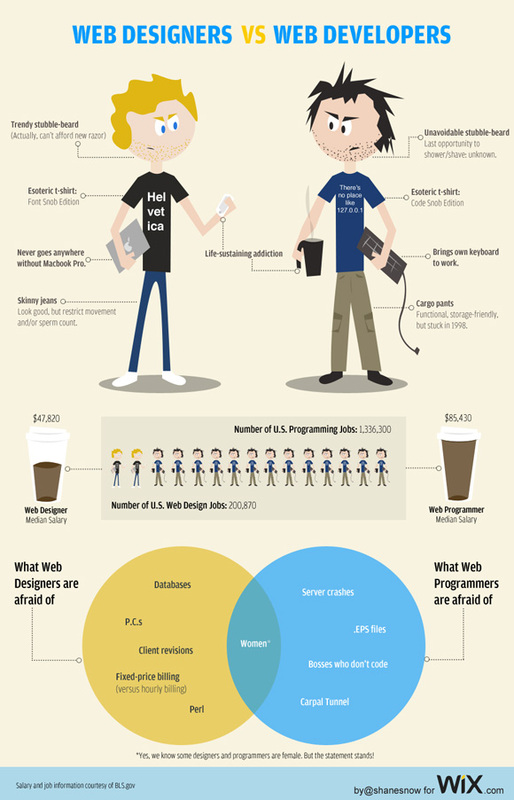 Quick post to show an infographic from Wix.com about developers vs. designers. Pretty funny, and bang on with the stereotypes. Designers, shouldn’t you be getting paid the same as developers? Come on, vent! Have a go at the other guys in the comments.